To browse our entire color photo clock gallery! 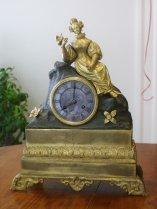 Check out a Gift of Time Clocks website. 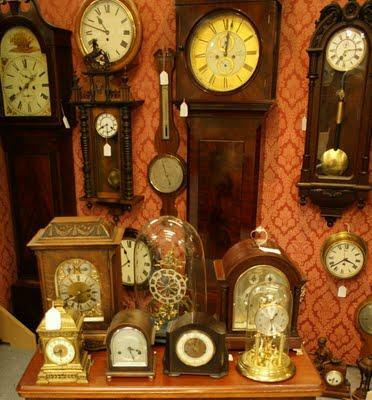 with West Saint Paul Antiques where good, genuine antique longcase (grandfather / tallcase) wall, bracket & mantel clocks, together with barometers, are a particular speciality. We offer a variety to reflect differing regional characteristics and period styling from the Georgian, Regency & Victorian era. 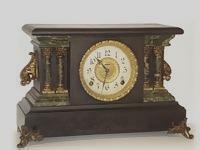 Each antique clock is fully researched, having been carefully chosen for originality and condition ~ essential to ensure future value. Specialist cabinet makers with expertise in traditional techniques, sympathetically and discreetly renovate only where necccessary. Experienced horologists check, overhaul and restore clock movements, allowing us to offer you peace of mind with your purchase. 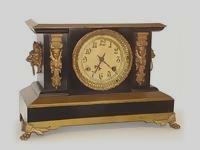 Click Here for our Website Clock Museum. The sundial, which measures the time of day by the direction of shadows cast by the sun, was widely used in ancient times. A well-designed sundial can measure local solar time with reasonable accuracy, and sundials continued to be used to monitor the performance of clocks until the modern era. However, it has practical limitations - it requires the sun to shine and does not work at all during the night - encouraged the use of other techniques for measuring time. In India, the King of Jaipur the Pink City, Jai Singh II constructed many instruments and sundials in the observatories in cities Jaipur, Varanasi, Ujjain, Mathura between 1724-1730 A.D. He had a good interest in astronomy and town planning. Candle clocks and sticks of incense that burn down at approximately predictable speeds have also been used to estimate the passing of time. In an hourglass, fine sand pours through a tiny hole at a constant rate and indicates a predetermined passage of an arbitrary period of time. Water clocks, also known as clepsydrae (sg: clepsydra), along with the sundials, are possibly the oldest time-measuring instruments, with the only exceptions being the vertical gnomon and the day-counting tally stick. Given their great antiquity, where and when they first existed are not known and perhaps unknowable. The bowl-shaped outflow is the simplest form of a water clock and is known to have existed in Babylon and in Egypt around the 16th century BC. Other regions of the world, including India and China, also have early evidence of water clocks, but the earliest dates are less certain. Some authors, however, write about water clocks appearing as early as 4000 BC in these regions of the world. Greek astronomer, Andronicus of Cyrrhus, supervised the construction of the Tower of the Winds in Athens in the 1st century B.C. In 797 (or possibly 801), the Abbasid caliph of Baghdad, Harun al-Rashid, presented Charlemagne with an Asian Elephant named Abul-Abbas together with a "particularly elaborate example" of a water clock. None of the first clocks survived from 13th century Europe , but various mentions in church records reveal some of the early history of the clock. 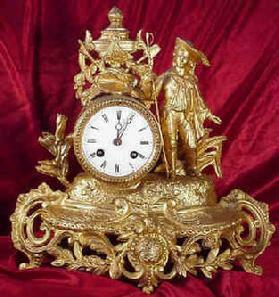 The first major advance in clock construction occurred in Europe during the 14th century. The first description of a mechanical clock in a Muslim work appears in Taqi al-Din's The Brightest Stars for the Construction of Mechanical Clocks, written about AD 1565, where al-Din describes the construction of a weight-driven clock with verge-and-foliot escapement, a striking train of gears, an alarm, and a representation of the moon's phases. An earlier mercury clock, described in the Libros del saber, a Spanish work from AD 1277 consisting of translations and paraphrases of Arabic works, is sometimes quoted as evidence for Muslim knowledge of a weight-driven clock. However, the device was actually a compartmented cylindrical water clock, whose construction was credited by the Jewish author of the relevant section, Rabbi Isaac, to the Greek engineer Hero of Alexandria (fl. 1st century AD). In the 13th century, Al-Jazari, an engineer who worked for Artuqid king of Diyar-Bakr, Nasir al-Din, made numerous clocks of all shapes and sizes. 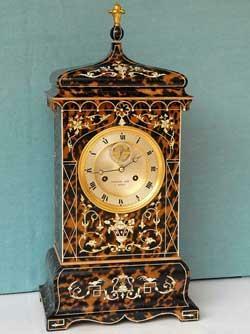 The book described 50 mechanical devices in 6 categories, including water clocks. The most reputed clocks included the Elephant, the Castle and Scribe clocks, all of which were reconstructed by Muslim Heritage Consulting for Ibn Battuta Shopping Mall in Dubai (UAE), where they are fully functional. 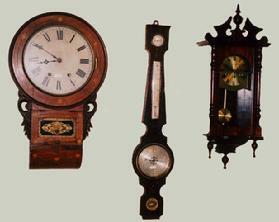 As well as telling the time, these grand clocks were symbols of status, grandeur and wealth of the Urtuq State. Besides the Chinese astronomical clock of Su Song in 1088 mentioned above, in Europe there were the clocks constructed by Richard of Wallingford in St Albans by 1336, and by Giovanni de Dondi in Padua from 1348 to 1364. They no longer exist, but detailed descriptions of their design and construction survive, and modern reproductions have been made. They illustrate how quickly the theory of the mechanical clock had been translated into practical constructions, and also that one of the many impulses to their development had been the desire of astronomers to investigate celestial phenomena. A mechanical alarm clock was described by the Ottoman engineer Taqi al-Din in his book, The Brightest Stars for the Construction of Mechanical Clocks (Al-Kawākib al-durriyya fī wadh' al-bankāmat al-dawriyya), published in 1556-1559. It was capable of sounding at a specified time, achieved by placing a peg on the dial wheel. At the requested time, the peg activated a ringing device. In the same treatise, he described a mechanical astronomical clock called the "observational clock", which measured time in minutes. 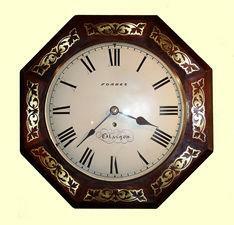 He made use of his mathematical knowledge to design three dials which showed the hours, degrees and minutes. He later improved the design of his observational clock to measure time in seconds in an astronomical treatise written at his Istanbul observatory of al-Din (1577-1580). He described his observational clock as "a mechanical clock with three dials which show the hours, the minutes, and the seconds." This was an important innovation in 16th-century practical astronomy, as previous clocks were not accurate enough to be used for astronomical purposes. He further improved the observational clock, using only one dial to represent the hours, minutes and seconds, describing it as "a mechanical clock with a dial showing the hours, minutes and seconds and we divided every minute into five seconds." 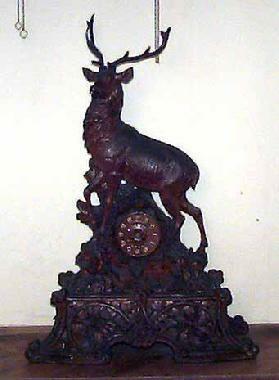 Another early record of a second hand on a clock dates back to about 1560, on a clock now in the Fremersdorf collection. 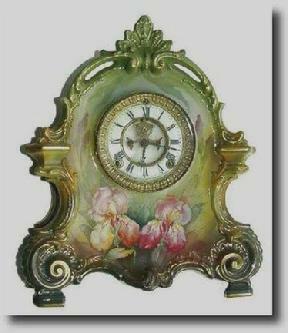 However, this clock could not have been accurate, and the second hand was probably for indicating that the clock was working. 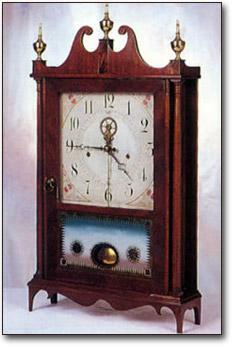 The next development in accuracy occurred after 1656 with the invention of the pendulum clock. Galileo had the idea to use a swinging bob to regulate the motion of a time telling device earlier in the 17th century. Christiaan Huygens, however, is usually credited as the inventor. He determined the mathematical formula that related pendulum length to time (99.38 cm or 39.13 inches for the one second movement) and had the first pendulum-driven clock made. In 1670, the English clockmaker William Clement created the anchor escapement, an improvement over Huygens' crown escapement. Within just one generation, minute hands and then second hands were added. In mechanical clocks, this is either a weight suspended from a cord wrapped around a pulley, or a spiral spring called a mainspring. In electric clocks, it is either a battery or the AC power line. Since clocks must run continuously, there is often a small secondary power source to keep the clock going temporarily during interruptions in the main power. In old mechanical clocks, a maintaining power spring provided force to turn the clock's wheels while the mainspring was being wound up. In quartz clocks a backup battery or capacitor is often included to keep the clock going if the power cord is unplugged. The timekeeping element in every modern clock is a harmonic oscillator, a physical object (resonator) that vibrates or oscillates repetitively at a precisely constant frequency. The advantage of a harmonic oscillator over other forms of oscillator is that it employs resonance to vibrate at a precise natural resonant frequency or 'beat' dependent only on its physical characteristics, and resists vibrating at other rates. The possible precision achievable by a harmonic oscillator is measured by a parameter called its Q, or quality factor, which increases (other things being equal) with its resonant frequency. This is why there has been a long term trend toward higher frequency oscillators in clocks. Balance wheels and pendulums always include a means of adjusting the rate of the timepiece. Quartz timepieces sometimes include a rate screw that adjusts a capacitor for that purpose. Atomic clocks are primary standards, and their rate cannot be adjusted. Slave clocks, used in large institutions and schools from the 1860s to the 1970s, kept time with a pendulum, but were wired to a master clock in the building, and periodically received a signal to synchronize them with the master, often on the hour. Later versions without pendulums were triggered by a pulse from the master clock and certain sequences used to force rapid synchronization following a power failure. Computer real time clocks keep time with a quartz crystal, but are periodically (usually weekly) synchronized over the internet to atomic clocks (UTC), using a system called Network Time Protocol. Radio clocks keep time with a quartz crystal, but are periodically (often daily) synchronized to atomic clocks (UTC) with time signals from government radio stations like WWV, WWVB, CHU, DCF77 and the GPS system. In mechanical clocks, this is the escapement, which gives precise pushes to the swinging pendulum or balance wheel, and releases one gear tooth of the escape wheel at each swing, allowing all the clock's wheels to move forward a fixed amount with each swing. In electronic clocks this is an electronic oscillator circuit that gives the vibrating quartz crystal or tuning fork tiny 'pushes', and generates a series of electrical pulses, one for each vibration of the crystal, which is called the clock signal. In mechanical clocks this is done mechanically by a gear train, known as the wheel train. The gear train also has a second function; to transmit mechanical power from the power source to run the oscillator. There is a friction coupling called the 'cannon pinion' between the gears driving the hands and the rest of the clock, allowing the hands to be turned by a knob on the back to set the time. Analog clocks, including almost all mechanical and some electronic clocks, have a traditional dial or clock face, that displays the time in analog form with moving hour and minute hand. In quartz clocks with analog faces, a 1 Hz signal from the counters actuates a stepper motor which moves the second hand forward at each pulse, and the minute and hour hands are moved by gears from the shaft of the second hand. Analog clocks usually indicate time using angles. The most common clock face uses a fixed numbered dial or dials and moving hand or hands. It usually has a circular scale of 12 hours, which can also serve as a scale of 60 minutes, and 60 seconds if the clock has a second hand. 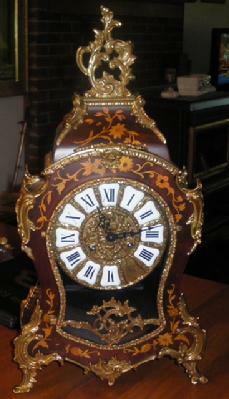 Many other styles and designs have been used throughout the years, including dials divided into 6, 8, 10, and 24 hours. The only other widely used clock face today is the 24 hour analog dial, because of the use of 24 hour time in military organizations and timetables. The 10-hour clock was briefly popular during the French Revolution, when the metric system was applied to time measurement, and an Italian 6 hour clock was developed in the 18th century, presumably to save power (a clock or watch chiming 24 times uses more power). Another type of analog clock is the sundial, which tracks the sun continuously, registering the time by the shadow position of its gnomon. Sundials use some or part of the 24 hour analog dial. There also exist clocks which use a digital display despite having an analog mechanism—these are commonly referred to as flip clocks. Alternative systems have been proposed. For example, the Twelve o'clock indicates the current hour using one of twelve colors, and indicates the minute by showing a proportion of a circular disk, similar to a moon phase. Most digital clocks use an LCD, LED, or VFD display; many other display technologies are used as well (cathode ray tubes, nixie tubes, etc.). After a reset, battery change or power failure, digital clocks without a backup battery or capacitor either start counting from 00:00, or stay at 00:00, often with blinking digits indicating that time needs to be set. Some newer clocks will actually reset themselves based on radio or Internet time servers that are tuned to national atomic clocks. 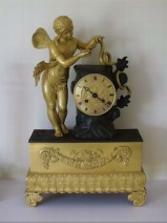 Since the release of digital clocks in the mainstream, the use of analogue clocks has dropped dramatically. For convenience, distance, telephony or blindness, auditory clocks present the time as sounds. The sound is either spoken natural language, (e.g. "The time is twelve thirty-five"), or as auditory codes (e.g. 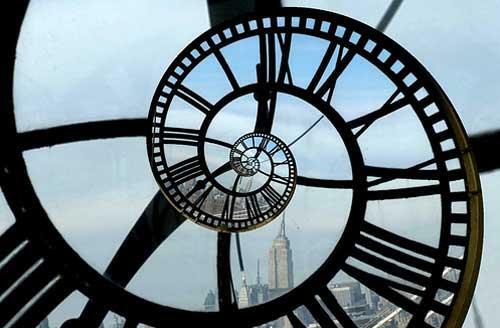 number of sequential bell rings on the hour represents the number of the hour like the bell Big Ben). 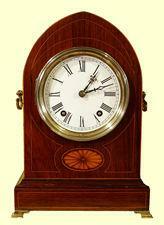 Most telecommunication companies also provide a Speaking clock service as well. An ideal clock is a scientific principle that measures the ratio of the duration of natural processes, and thus will give the time measure for use in physical theories. Therefore, to define an ideal clock in terms of any physical theory would be circular. An ideal clock is more appropriately defined in relationship to the set of all physical processes. Navigation by ships and planes depends on the ability to measure latitude and longitude. Latitude is fairly easy to determine through celestial navigation, but the measurement of longitude requires accurate measurement of time. This need was a major motivation for the development of accurate mechanical clocks. John Harrison created the first highly accurate marine chronometer in the mid-18th century. The Noon gun in Cape Town still fires an accurate signal to allow ships to check their chronometers. Use of an atomic clock in radio signal producing satellites is fundamental to the operation of GPS (Global Positioning System) navigation devices. In determining the location of an earthquake, the arrival time of several types of seismic wave at least four dispersed observers is dependent upon each observer recording wave arrival times according to a common clock.